Dentistry is not often discussed at all when it comes to treating children with Attention Deficit Disorder (ADHD). However, a 2012 study revealed that many children who are diagnosed with this condition don’t really have ADHD. Rather, their behavioral problems are actually due to sleep-related breathing disorders (SRBD), such as sleep apnea. The study, published by the journal Pediatrics, followed more than 11,000 children for six years, beginning from when they were 6 months old. The children who had SRBD were 40 to100 percent more likely than those without breathing issues to develop behavioral problems resembling ADHD by the age of 7. It makes sense, then, to consider whether interrupted sleep might be the primary issue at work. A well-rested individual, young or old, can function much better on a good night’s sleep. But a lack of rest affects different people in different ways. Sleepy adults tend to act sluggishly, while sleep-deprived children are more likely to become hyperactive, uncooperative, and unable to focus – just like kids with ADHD. How Can I Identify Sleep Apnea? Sleep-related breathing disorders, including sleep apnea, are characterized by recurrent episodes of interrupted breathing during sleep. Typically, the airway becomes blocked by soft tissues near the back of the throat (e.g. tonsils or the tongue) that partially close off the windpipe. These tissues can vibrate as air passes by, causing snoring. This often gets worse while sleeping on one’s back, since this encourages the lower jaw to slip back and pushes the tongue in front of the airway. Overweight children have a higher incidence of sleep apnea due to fatty tissue deposits in the soft palate (the soft tissue in the back of the roof of the mouth), which decrease the size of the child’s airway. 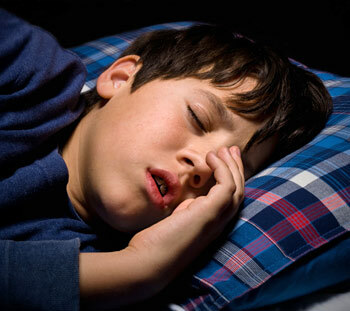 How Can Dentists Treat Sleep Apnea In Children? Your family dentist can play a role in figuring out if there are any oral issues that are keeping your children from getting the restful sleep they need to maintain their health and well-being. When it comes to sleep apnea treatment, there are a number of options for both young and older children. 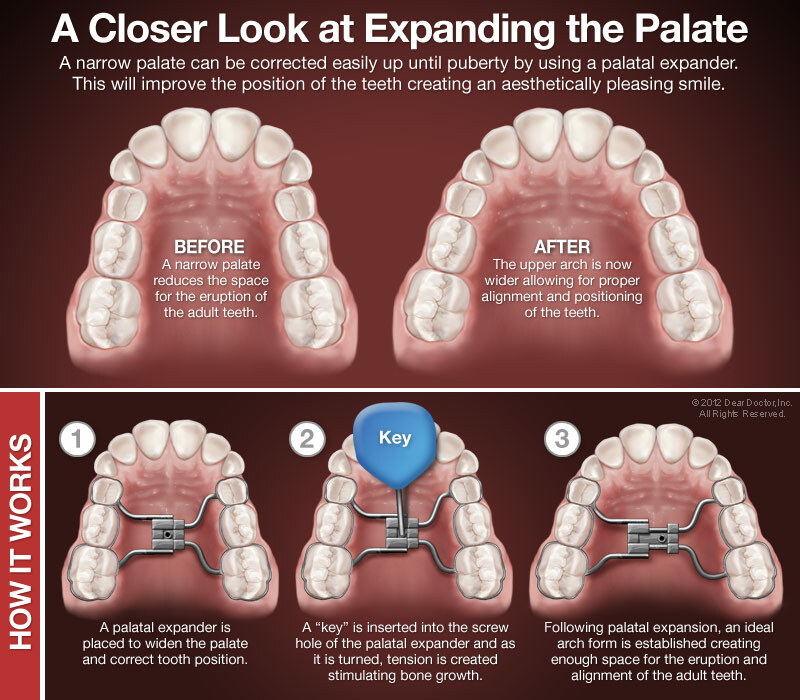 For younger children who are still growing, the use of an orthodontic appliance called a palatal expander has proven useful in some cases. The device gently widens the roof of the mouth (palate) over time by separating bones that don’t permanently fuse together until puberty. 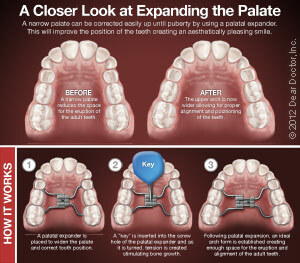 Normally, the expander is used to create more room for crowded teeth, but the expansion can also increase airflow. Older children who have stopped growing can sometimes benefit from Oral Appliance Therapy (OAT). This involves wearing a custom-made oral appliance designed to reposition the jaw during sleep and hold the tongue away from the back of the throat, reducing the potential for obstruction. Bluff Creek Dental is a family dentistry that provides a variety of dental and orthodontic services. Contact us today at our Chanhassen, MN office if you have any questions or concerns, or to make an appointment to come visit us!